Hot-selling Chevy Colorado and GMC Canyon have GM scrambling. 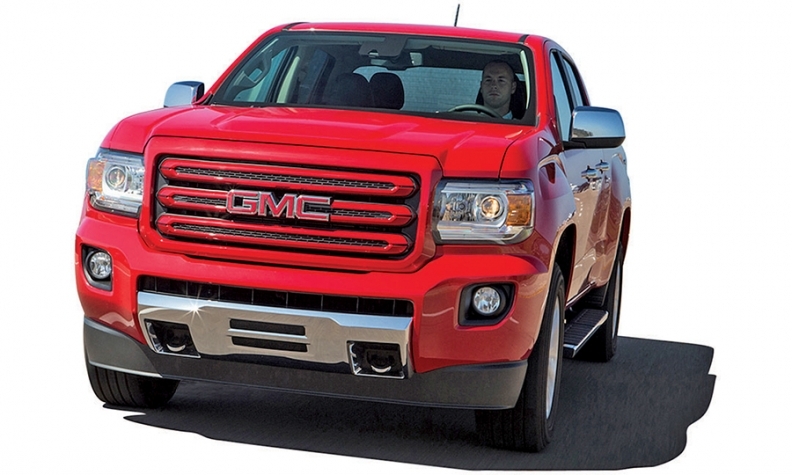 Dealers are starving for more hot-selling Chevrolet Colorado and GMC Canyon pickups. And workers at General Motors' St. Louis-area truck plant are starving themselves to eke out a few more of them. The Wentzville, Mo., factory recently cut an unpaid lunch break, part of a broader schedule reshuffling that eliminated the six-minute production lulls between shifts. The result: An extra 18 minutes of production in a three-shift day, which should translate into more than 3,500 more trucks a year. It's a small example of how automakers are finding ways to wring more production from their factories as sales march higher, rather than sinking capital into new plants. GM is scrambling to fill surprisingly strong demand for the midsize pickups and the Chevy Express and GMC Savana commercial vans, also made in Wentzville. The company is hiring as many as 1,000 "flex" workers, mostly to fill Saturday and Sunday shifts, a move that should boost capacity by more than 2,000 trucks a month, according to a plant worker and another person familiar with the moves. That comes even after the plant added a third shift in March, increasing full-time employment to 3,500 hourly workers. The moves also highlight the increased difficulty of setting production schedules in an era of tight factory capacity. Gauging demand was especially tricky for the Colorado and Canyon, which went into production late last summer as a major gamble by GM after consumers had largely abandoned smaller pickups in recent years in favor of larger trucks and other vehicles. The sales pace for the Colorado and Canyon has surprised even GM, insiders say, as tame gasoline prices and critical praise for the trucks have stoked demand beyond previous forecasts. As of mid-May, Colorado pickups were spending an average of just 12 days on dealer lots before being snapped up, GM says, citing J.D. Power data. That's among the industry's fastest turn rates and the briskest pace since just after last fall's launch. GM executives realized even as the trucks were hitting showrooms that an extended period of lower fuel prices could help push demand beyond their earlier projections, insiders say. But it takes many months to adjust suppliers' schedules to crank out more trucks. Clifford Swenson, editor of The Monthly Autocast, which forecasts automotive production, projects that GM will make about 140,000 of the midsize pickups at Wentzville this year. That's up from a previous estimate of around 119,000. In the meantime, the supply of the commercial vans has been squeezed as GM works to churn out more pickups -- the plant is making roughly two pickups for every van. GM cut off dealer orders for 2015 vans around October, about six months earlier than normal. In an interview this month, GM North America President Alan Batey acknowledged that the automaker could be selling a lot more Colorados and Canyons if it could align supply to demand fast enough. "People often say, 'Why can't you ramp it up more quickly?' The issue is it's a cyclical business. So you're always balancing for the bottom of the cycle as well as the top," Batey said. "I wouldn't want to predict where [fuel prices] might be next year or the year after." So far, sales of the midsize trucks have dispelled doubts over where the buyers would come from. GM says 43 percent of buyers are new to GM. The top trade-ins include the Ford F-150, Toyota Tacoma and the phased-out Dodge Dakota, GM says. Batey said: "If you talk to any Chevy or GMC dealer across the nation, ask them whether they would take more Colorados or Canyons. I'd guarantee they'd say, 'Yes.'" One of them is Mike Maheras, a dealer at Phillips Chevrolet, with stores in Frankfort and Lansing, Ill., near Chicago. Maheras believes the dealerships could be selling well more than the 20 Colorados they have been averaging monthly. Buyers include everyone from avid fishermen and mountain bikers to tradesmen, he says. "We're asking for 10 times what they're giving us," Maheras says. Plant spokesman Darin Copeland declined to confirm details about the use of temp workers or the Wentzville plant's work schedule. "We're working with our union partners to find creative solutions to build as many trucks and vans as we can," he said. "We have the problem that every GM plant wishes they had."